Anyhow, with the tube now in our possession we opened it up and found indeed a half dozen beautifully hand printed posters as seen above. One’s going up in my office, another in the Veemarkt shop and I’m not sure where the others will go. It would seem rather wrong to sell what’s basically a gift so probably they’ll get through-gifted, perhaps as lottery prizes in our famous annual Oktoberfietsfeest (which we sadly just didn’t have time for in 2010). So if you want a “Portable” you’ll just have to come to our party and cross your fingers for good luck, or go to The Bird Machine’s website and pay twenty buck for one. In the meantime, thank you very much Bird Machine for your cool posters! 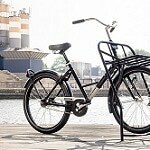 Do you also have something cool and Workcycles related you’d like to see featured on this illustrious blog? Well, then by all means send us some of them for free! Please, though, low-ball the stated value so we don’t go broke paying the import duties on the flood of incoming goods! Oh what a better world it would be if everybody were so honest and forthright about the things that inspire them. Here though is a classic example of how NOT to do it. 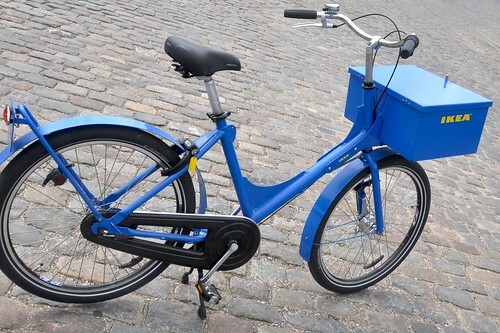 Supposed do-gooder company Baisikeli in Copenhagen purchased a number of Workcycles Fr8’s, promising to distribute them in Scandinavia. Several months later, with no explanation or discussion they stopped ordering bikes. A few months further we found that Baisikeli was representing our Fr8 as their own design. To add insult to injury they began producing a (very crudely made) copy of our pride and joy. The unique geometry, structural elements and essential features of their copy are all directly lifted from the Fr8 to the millimeter. About a dozen mostly cosmetic elements were changed to dodge intellectual property protections, and indeed they’ll probably be successful in this regard. 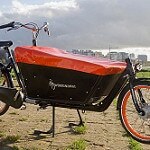 Baisikeli’s copy of the Workcycles Fr8 bike. 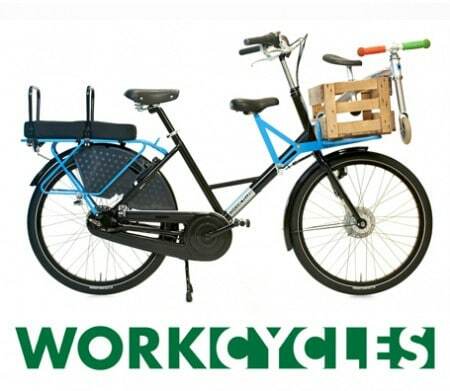 A real Workcycles Fr8 in action. It’s frustrating but also unfortunately just something to be accepted about doing business. Do something well and others will be inspired. That inspiration can be taken in many directions, most of them perfectly ethical. 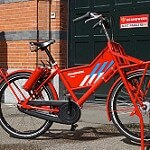 The Bird Machine included a little “apology to bakfiets-en-meer” (and to CETMA Cargo as well) but it was totally unnecessary. For the record I think it’s just great that a silly photo I took prompted him (I think it’s a “him” based on their bio) to create a poster loosely based on it. Similarly I’m frequently inspired by technical and aesthetic elements I see in other products, occasionally but usually not bikes. 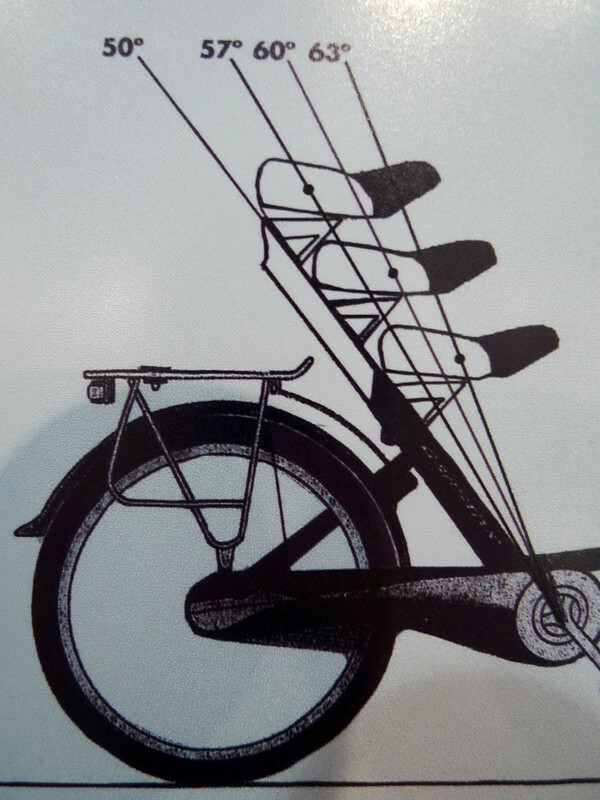 The monotube frame of the Fr8 probably has its roots in the 1960’s Moulton suspension bikes; I wasn’t thinking of that bike when I drew the first Fr8 plans, but I certainly knew of and admired it. The connection only occurred to me while unpacking the Series 1 Moulton I bought last year. On the other hand the Adaptive Seat Tube geometry (seat tube angle and top tube length follow median biomechanical ideals) is purely my own conception. Without a shadow of a doubt others have considered it, probably sketched it, maybe even made such a bike… but in my 30+ years around the bike industry I’ve never seen or heard of it before. Workcycles Adaptive Seat Tube automatically follows the biomechanical needs of a wide range of rider sizes. We’ve come to expect that good ideas and products will be copied, sometimes quite effectively and sometimes laughably. Amongst soulless corporations it seems to be standard practice. But Baisikeli’s entire business model (or perhaps just their marketing?) is centered around ethical practices. The bikes (the Fr8 copy they call “Chimoio” that is) are apparently leased to companies for three years with the pitch that they’ll be sent to Africa afterwards. But how can one trust a firm that claims to be philanthropic with one hand while ripping off their colleagues with the other hand? Meanwhile Mike Flanigan of A.N.T. in the US took the honest, and perhaps more practical route. He simply licenses the use of the Adaptive Seat Tube in some of his beautifully crafted bikes. Mind you, I’m realistic about the monetary value of such an innovation to other bike companies; If we ask too much others will simply alter it enough to evade its protection, confusing people in the process. So we essentially keep the costs low enough to make it a no-brainer: For a modest sum we can share knowledge and perhaps enjoy some marketing symbiosis, or we can save a few euros and fight about it. The same would have been true for Baisikeli, perhaps even more so given their supposed philanthropic goals… but they never asked. 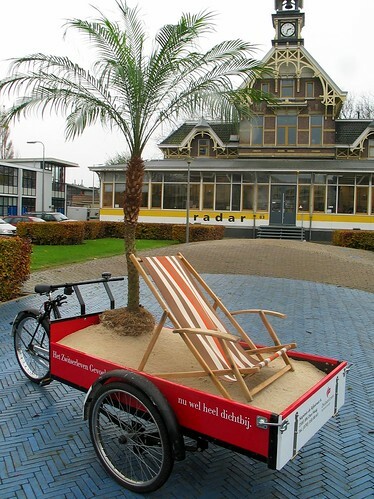 This entry was posted on Thursday, March 31st, 2011 at 11:00	and is filed under Bicycles and Art / Fiets and Kunst, Cargo trikes / Bakfietsen, Cool & Interesting bikes, Elsewhere in the world..., Funny stuff. You can follow any responses to this entry through the RSS 2.0 feed.You can skip to the end and leave a response. Pinging is currently not allowed. I see simple laziness on Baisikelli’s part. You’re very open and available so that makes their ripoff doubly inexcusable. It’s not like you hide behind a pile of lawyers and office workers. Ethical theft – A new business concept – almost certainly stolen from someone, somewhere. You have to grant them some credit for originality, they did paint it blue! 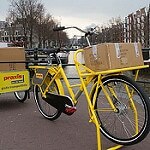 Henry ,my estimation of that Company has gone down Heaps now, Bikes for Africa indeed. I would not go near them with a Barge Pole in Future. You should Highlight this in the Danish Press that they are a less than honest Company. I’m not sure about the laziness idea. By far the easiest route would have been to just buy the existing, highly developed Workcycles bikes and skip the trouble of manufacturing. Apparently it’s costing them more to make their copy than importing ours since they ask €1300 for their copy while the far better made and spec’ed Fr8 original sells for €1000. Or perhaps they’re also ripping their customers off. You joke about ethical theft but a sort of misapplied Robin Hood “steal from ____ and give to ____” ethic is commonplace amongst organizations that trade in “do-gooding”. The problem seems to be a smugness and arrogance that put’s one’s good above another’s. “Less than honest company” is somewhat of an understatement. We sometimes justify theft from a big corporations, monarchs and other fat cats on the basis of it being compensation for their evils elsewhere (though it’s still shaky ground). But theft from a creative little company that was already founded on principles of sustainability and responsibility is just lower than whale poop. That’s outrageous. 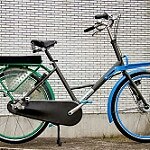 A Chinese company ripping off WorkCycles’ designs would almost be expected, but a supposed do-gooding European company? I think John’s right: you should spread the word of Baisikelli’s skullduggery amongst the Danish cycling community, perhaps with the assistance of a friendly Danish speaker or two. It’d be a lot cheaper than legal action and possibly with a greater chance of success (not that I can really comment with any authority how intellectual property theft laws work in Denmark). glad the prints arrived safely. they were supposed to be marked as a gift – i hope the import duties weren’t substantial! 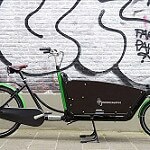 just wanted to send some along aa thanks for providing inspiration during the recent assembly of my new cetma cargo bike here in the outskirts of chicago. No worries about the small duty charge. We’re just really happy with the great prints. 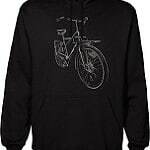 Enjoy the CETMA bike. It looks very solidly engineered. How fun that Jay Ryan sent you guys some prints. He’s known well here in Chicago- many of us have his print done for the Recyclery – a bike coop in Rodgers Park- up on the wall.. Know also well for his great concert posters. Lucky Work Cycles! Dude, you have no idea how much it hurts to see you quote a price in Euros, make a comment about keeping import duties down, then see what a fr8 costs here in your native land. The difference would keep me in beer for, like, 2 weeks. 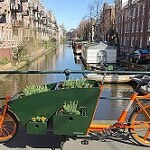 In another post, tell the story of bakfiets in America and how those ideas were gleaned from meetings with you. 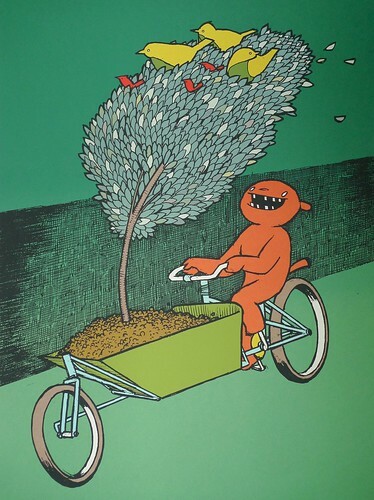 Also the tree in a bike box could be an iconic brand for you. You know brands. Miele in Canada make a really nice semi-recumbent (The Evox LE) with a similar seat tube that both goes back and higher when you adjust it. The company that formerly made it (Mikado, calling it the Quetzal) even made a children’s version which, because the seat tube, would cleverly grow with the child. It’s funny seeing the Ikea colours and logo on it. Ikea USA did a thing last year where they gave all their employees a bicycle to encourage them to ride to work but they just gave them crappy mountain bikes instead of commuter style. I’d like to see the clever designers at Ikea put their genius brains together and design a bike. It would probably sell really well and match one’s decor. Sorry, I’m about a year late with this reply. 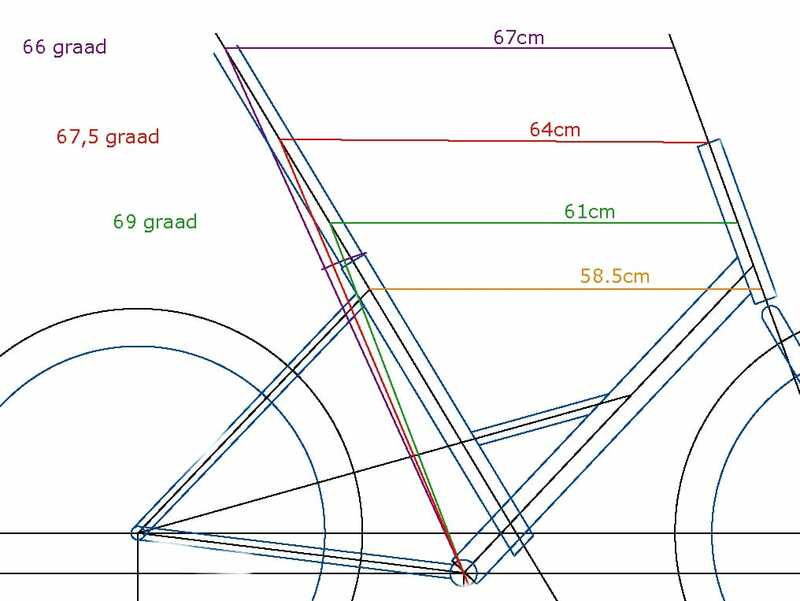 Actually the Miele Evox has the seat tube geometry of the Electra “Flat Foot Technology” bikes and that’s the exact opposite of the Workcycles AST. 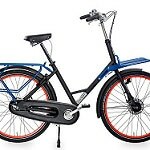 Flat Foot has a steeply angled seat tube that runs to behind the crank axle so that the effective seat tube actually gets steeper and the distance to handlebars shorter as the seat is raised. 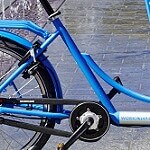 Though it’s patented (and violated by dozens of firms) it’s a stupid way to build bikes. I’ve been reading your blog with interest. Your comment on the patented ‘Flat foot technology’ (which can also be found as ‘Easy riding bicycle’) peaked my interest. 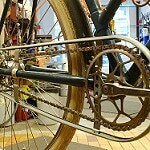 There are, comparatively, not that many patents in the bicycle business, but those that exist are not often enforced as you say. I’m wondering why, if this is such a good system in practise (I have no experience with it), nobody is using it. Yes, I’m aware of the Gazelle and have written about it somewhere, perhaps on Flickr with some photos I took of that bike at an expo. As you say the principle is the same as our AST but the execution is different. 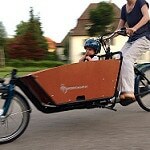 Their approach does also work but it brings with it a couple disadvantages that were unacceptable for Workcycles bikes. Most notably it requires an extremely long rear frame, and yes it is very ugly. 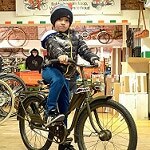 In any case the Workcycles Fr8 predates the Gazelle by several years. I think the reason such ideas don’t take off in the bike industry is simple: Most bike firms just don’t give a crap about building good, practical, thoughfully designed bikes. This is conversely the reason why the quite stupid Electra Flat Foot concept has been copied throughout the industry. In any case it’s very difficult, if not impossible to enforce such a patent. Another firm can circumvent it by just changing the design and description a little bit, as appears to be happening since I seriously doubt these other firms are all paying royalties to Electra. 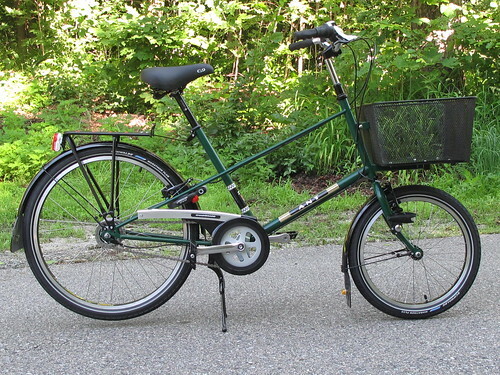 I think the Gazelle is based on an original concept by architect Piet Tauber in 1984. 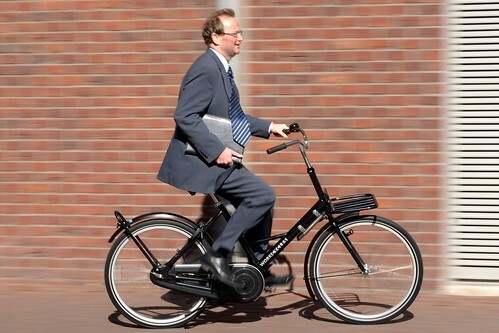 It was built by Van Raam as the Tavara bike and survives as an electric-assist only, as is Gazelle’s Balance Innergy. Giant used to offer a similar design which is no longer made (Revive ?). Tauber was an interesting man. 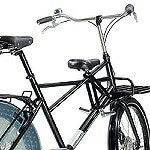 Had his offices in Alkmaar and a studio in Paris where he designed bicycles only, as a pastime. His wife once told me that he found Paris a more inspiring place for this purpose than Holland where bikes were too much taken for granted and radical innovation was thought unnecessary. In other words, Alkmaar for serious work and Paris for Oh-la-la.